Blues tie down 7 players. 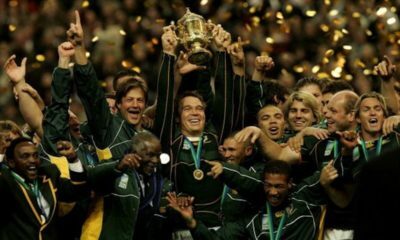 World Cup Winning Springbok to retire. 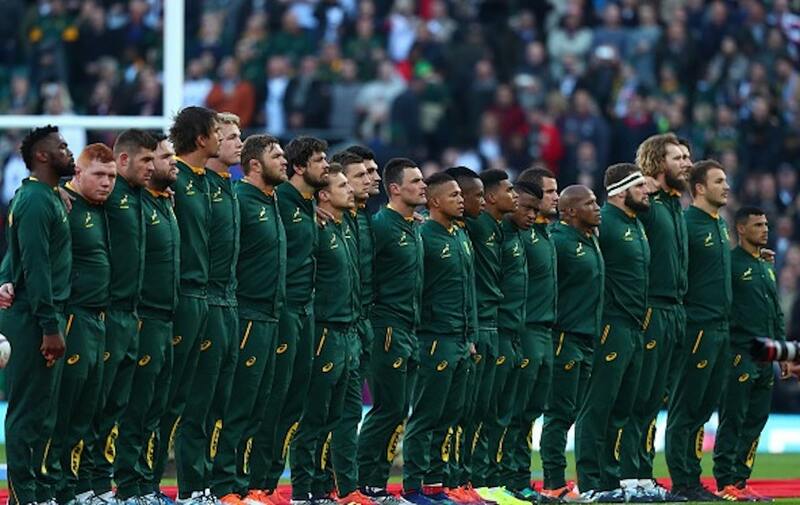 Springbok trio heading to Japan? 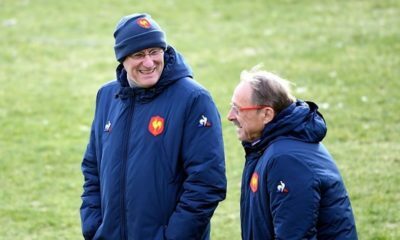 French Rugby rule out foreign coach. 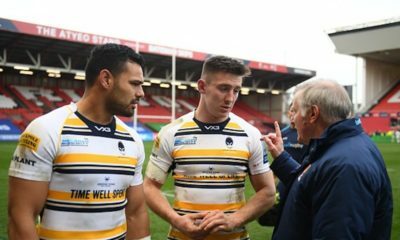 Ben Te’o among 8 players leaving Worcester. 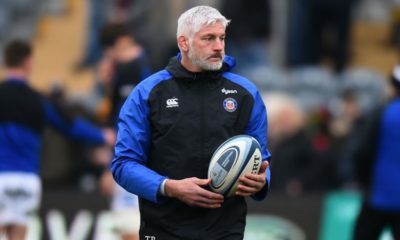 Blackadder to leave Bath. Taking up new role. 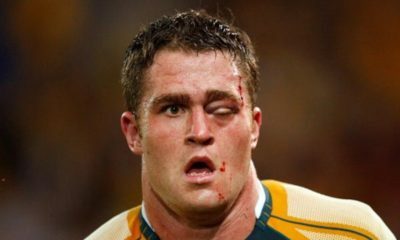 Harlequin & Former Wallaby announces retirement. 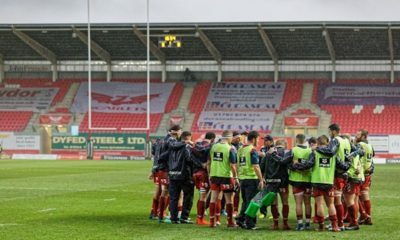 Leicester Tigers strike loan deal for Scarlets star until end of season. 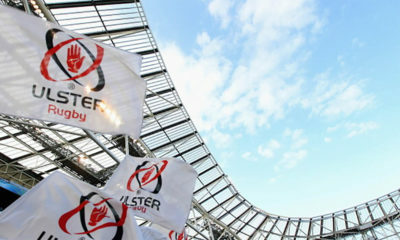 Ulster Rugby issue injury update for Moore & Stockdale. 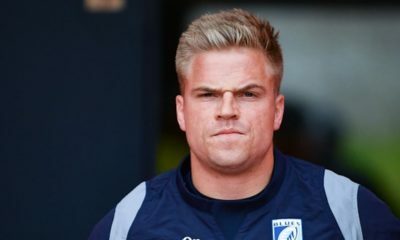 Ospreys announced Anscombe signing with this video…. 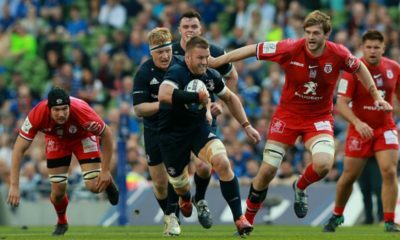 Preview: Leinster v Toulouse. Key Battles. 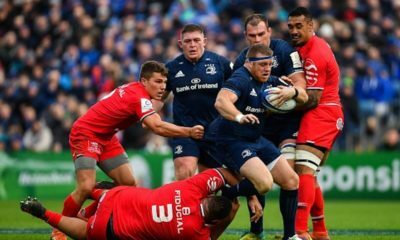 Leinster v Toulouse: Line-ups revealed. 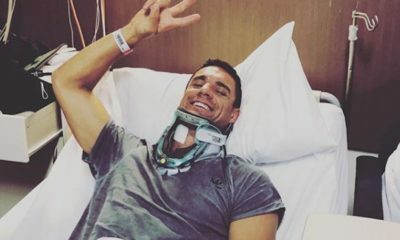 All Blacks star ruled out of World Cup with ACL injury. Freddie Burns sends classy message to Jacob Stockdale. Savea and Twitter responds to Toulon Boss comments. Seven Blues players, with 218 Super caps between them, will extend their stay at the Auckland Blues. The ‘Super Seven’ comprise James Parsons, TJ Faiane, Sione Mafileo, Otere Black, Tom Robinson and Stephen Perofeta, who will continue at the Blues until 2021, while young star Caleb Clarke has signed until 2022. “This is a core group of key players who are an important cog to the Blues wheel both on and off the field,” said Tony Hanks, Blues General Manager High Performance. “With the retention of top players always challenging in New Zealand, the commitment of this core group, along with the recent extensions of Patrick Tuipulotu and Dalton Papalii, is a significant statement to the commitment, motivation and ambition of our current group, both this year and in the seasons to come,” said Hanks. Parsons, who has played 98 games for the Blues, was keen to continue his long and storied career with the club. “He is getter better with experience and his form and leadership make him an important player to re-sign when players of his age are departing New Zealand. Retaining experience is critical to our development and James is a thorough professional who is a real role model for our game,” said forwards coach Tom Coventry. His fellow Harbour front rower, Mafileo has played 40 times for the Blues and started five times this year. 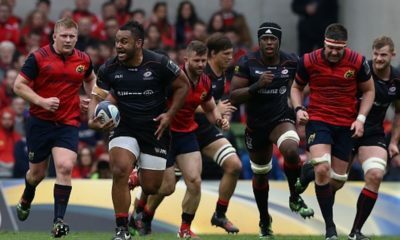 “After a strong apprenticeship, Sione is now delivering at a high standard game-in game-out and has become a regular starter amongst an excellent group of props. The best is still ahead of him,” said Coventry. Faiane, who was sidelined for the first two years of his professional carer with injury, captained Auckland to its Mitre-10 Cup success and has carried on that outstanding form to date this season. “TJ has taken his game to a new level in Investec Super Rugby, and is working well alongside Ma’a and Sonny in the midfield. His work ethic in training is excellent and he is a key leader in our club,” said coach Leon MacDonald. Robinson has been one of the new starts this season, who like Faiane has had two seasons thwarted by injury before producing standout form for Northland to earn his Super opportunity. “Tom has been part of the Blues development and has taken his chances a non-stop aggressive approach whether it be at training or in games. His attitude is outstanding and we are thrilled he will be staying with us,” said Coventry. Black and Perofeta, talented young first-fives, have both signed to stay at the club and both have had to overcome long term injuries. Black, who missed last Super season, has been an influential guiding light in the team this year, while Perofeta, who impressed last year, will miss much of this season with a pec muscle injury. “Otere is a calm and decisive head on young shoulders who is steering us around the park with maturity beyond his years while Stephen remains an important part of our squad and we look forward to having him back on the playing roster. It is really encouraging with two players of real talent who play in the same position deciding to continue on with our club,” said MacDonald. Clarke, who has just turned 20, has already shown he has a massive future in Super Rugby. After a transition year with the All Black Sevens, New Zealand U20s and Mitre-10 Cup, Clarke starred in pre-season before a serious knee injury. 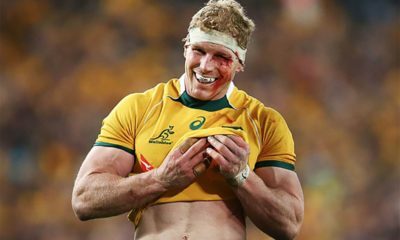 He returned with an impressive performance and try against the Waratahs. “Caleb is a product of our development pathway and while he is still just 20, he has immense talent and is a tremendous and humble young man who is a real contributor to our club,” said MacDonald. WATCH: Meakes ‘guilty’ but not punished. Big.Hit. Dagg reveals the moment he knew it was time to quit. 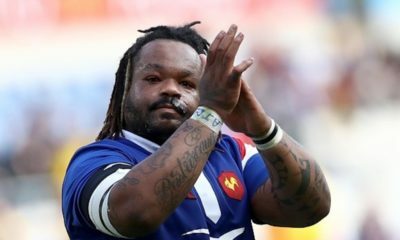 Three South African internationals appear to be on their way over to Japan after the World Cup. Afrikaans outlet Rapport has reported that Damien de Allende, Jesse Kriel and Jason Jenkins are all heading North West post-World Cup. 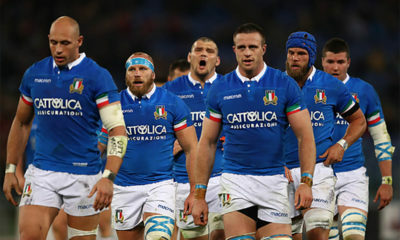 De Allende has been linked with the Panasonic Wild Knights, whom All Black Sonny Bill Williams and Aussie David Pocock have previously played for. Kriel, who only returned to the Bulls XV this weekend after missing last weekend’s match and 23-year-old Jenkins are also set to join de Allende. 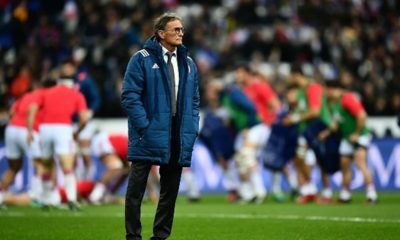 The moves would see them join up with their new teams following the World Cup with the Japanese Top League season running from January to June to accommodate the World Cup. 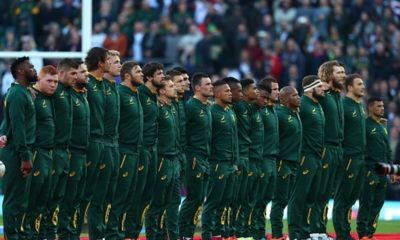 All three would be set for pay-rises that the South African based sides cannot compete with and they are unlikely to be the last names to join the ever-growing league. 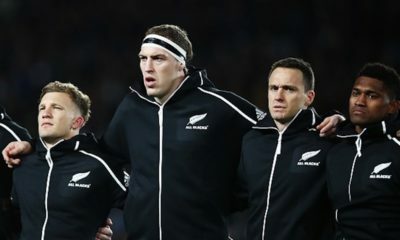 Only last month New Zealand captain Kieran Reid announced he would be playing for the Toyota Verblitz next season and there is speculation that All Blacks head coach Steve Hanson could be moving over too. We will have to wait and see if these moves become a reality but expect there to be many more players heading to Japan in the coming weeks, months and years as they try to build a super league. Do you remember that heel flick style pick up from Simon Zebo for Ireland v Wales back in 2013? If not, you can see it again below. 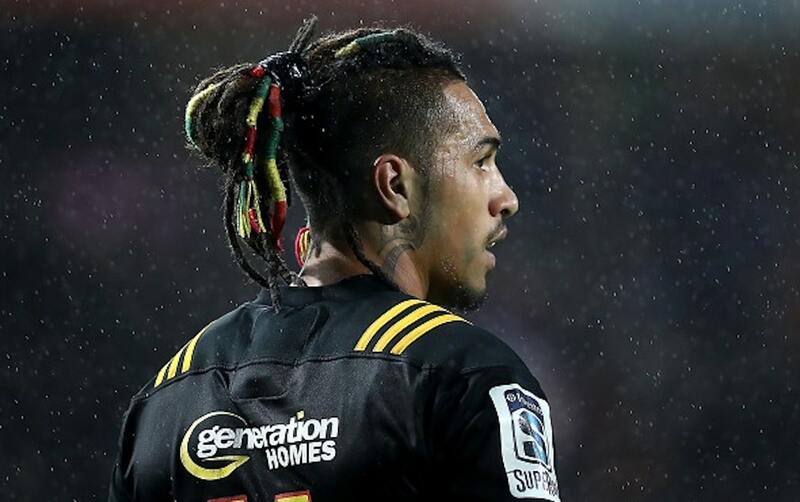 Anyway, there’s potential that this piece of skill from the Irish Magician was eclipsed on the weekend by Chiefs Super Rugby Star Sean Wainui. 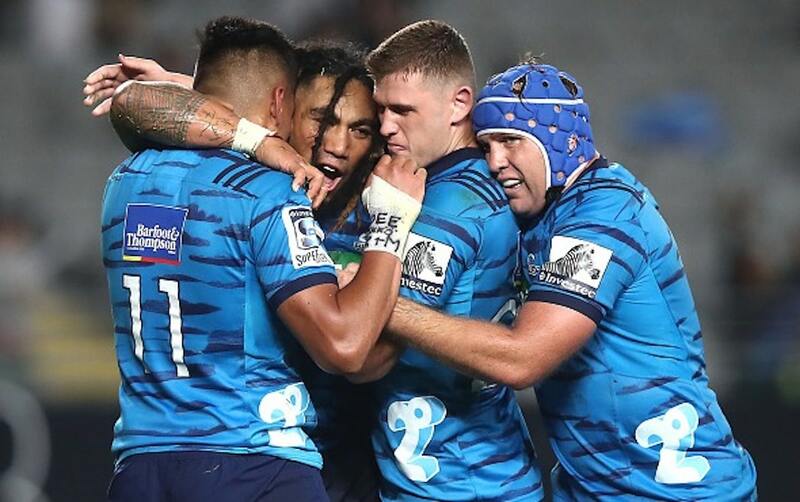 In what has been labelled by some, as ‘the best game they’ve watched’ this season the Chiefs played the Blues in Hamilton with the Chiefs running out eventual winners 33-29. 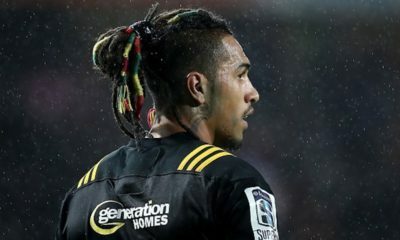 The game saw Ma’a Nonu cross the whitewash for 2 tries but on a negative note, it also saw Damian McKenzie ruled out of the World Cup after rupturing his ACL. Back to the positives, just check out this ridiculous bit of skill from Wainui. Harlequins Co-Captain, former Wallabies and Queensland Reds Captain James Horwill has announced that he plans to retire at the end of the current Gallagher Premiership season. Horwill, a stalwart of the Australian rugby scene, joined the London Club at the start of the 2015/16 season. With his wealth of experience and natural leadership, Horwill was named Club captain after two seasons. “I have given this great game everything I have, and I feel I can no longer give what is needed to play at this elite level. “Rugby has been a big part of my life for many years; never in my wildest dreams would I have envisaged the incredible journey it has taken me on. 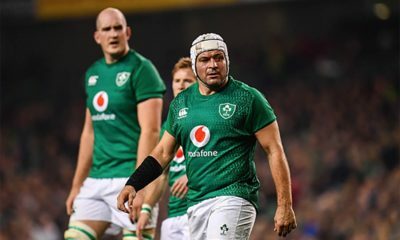 “I’ve had the privilege and honour to not only play, but captain my State, Country and Club, Harlequins, on a number of occasions over my 14-year career. 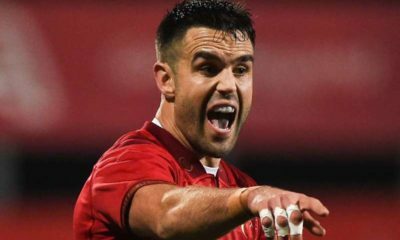 “Winning the Super Rugby title at the Queensland Reds and being asked to captain my Country are just some of the moments I will look back and cherish for a lifetime. “I want to thank all the coaches and staff I’ve worked with over my career; you have all made an impact and shaped me into the player and person I am today. “Special thanks must go to the physios, doctors and surgeons, who have put me back together. We probably spent more time together than we would have liked, but without your expertise and continued care, I wouldn’t have been able to play for as long. “To the fans all over the world, who have supported me throughout my career, thank you. My job wouldn’t have existed without you; you are what makes this game so special. I will never be able to replicate the feeling I get from running out to a full stadium of support. It has been my honour to represent you and a role I will forever miss. “Finally, to all the players I have had the pleasure to play with (and against), you are why I have loved my career so much. We have made some unforgettable memories and I know I have friends for life. “James is a true warrior of our great game; the ultimate professional and someone you always want on your side. 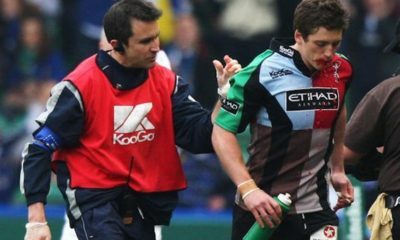 “It’s been an honour and a pleasure to work alongside him at Harlequins. His resilience and character have made him the role model he is today and will continue to be long after his retirement. Every week he puts his body on the line and stands up to be counted alongside his teammates; he is a very popular member of the squad, whom we will all miss. A modern-day champion, Horwill made his professional debut in 2006 for the Queensland Reds and was quickly called up to the Wallabies side the following season. Despite his youth, Horwill was handed the Reds captaincy in 2008 and the second-row led the franchise to its first professional title, beating the Crusaders in the 2011 Super 15 final. Later that season Horwill was named captain of the Wallabies ahead of the 2011 Rugby World Cup in New Zealand. 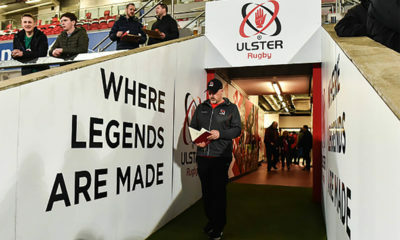 He would go on to lead the side out on 16 occasions across his 62-match international career, including against the British and Irish Lions in 2013. Horwill joined Harlequins in 2015 and was named club Captain ahead of the 2017/18 season. In the same season, Horwill made his 50th appearance for the Club in the win over Saracens at The Stoop. Horwill’s final game at The Stoop will be against Leicester on Friday 3rd May. 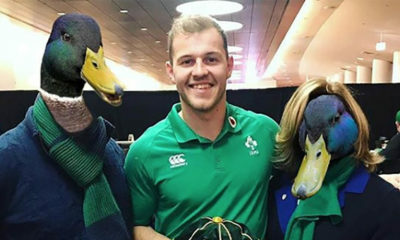 “Awful, actually terrible” – Fitzgerald blasts one Ireland star. WATCH: How did this hit from Tuilagi go unnoticed & unpunished?